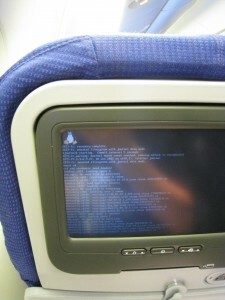 Shortly before my KLM 747 landed in São Paulo yesterday the in-flight entertainment system crashed. And re-booted. And up comes not what you would have expected but a friendly Tux. No Flying-Bluescreen but free software above the skies.